Moms deal with many physical challenges throughout the day. From hoisting toddlers around the house to standing for hours prepping dinner and lunches. Shuttling the family from one activity to the next makes a mom’s day physically challenging – and not always ergonomically friendly. Moms benefit greatly by participating in Pilates reformer classes. Pilates reformer for moms helps build core strength and helps improve balance and coordination. After all, when you’re tired, overwhelmed, and overworked the last thing you’re thinking about is your posture. We help develop a greater sense of self-confidence and provide stress relief – a welcome reprise from the often stressful life of being a mom! Athletes of all stripes can benefit from Pilates reformer exercises for the strength building and range of motion advantages that this type of exercise offers. Everyone from distance runners to triathletes enjoy strength gains from participating in muscle targeting Pilates reformer classes. Beginner and advanced athletes can customize their Pilates reformer exercise regimen to suit the intensity they need and target muscle groups that will give them a competitive advantage. Our Pilates Trainers have a combined 35+ years’ experience helping athletes improve performance through individualized, custom training goals. One of the most frustrating parts of recovering from an injury is learning how to return to life “as normal.” Injuries can be painful and disruptive. You may even require physical therapy to regain your former sense of motion and activity. Pilates reformer is a great way to regain strength in injured muscle groups or to safely regain coordination and balance after an accident. Customized Pilates reformer training that targets muscle groups that support your injury location can help increase recovery speed. The common mantra in health circles these days suggests that “sitting is the new smoking.” Studies have shown that sitting all day at an office job can have negative effects on your posture, core strength, and overall health. Tennis players have specific needs when it comes to fitness and coordination. Overloading or overwork of a certain side of the body can result in an unbalanced muscle structure. When you visit our experienced Pilates trainers, we learn about your playing habits, expertise, and style of play to determine a customized plan for improving your strength, flexibility, and overall tennis game. Golfers require endurance, strength, flexibility, and mental toughness to excel in their sport – all areas of focus in elite pilates reformer training. If you’re a golfer, you understand the importance of balance and coordination as founding building blocks for your game. 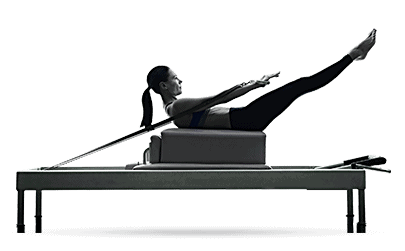 Pilates reformer training targets muscle groups to give you improved strength and balance. It also helps rehabilitate the body after the stress of strenuous golf training. We help you stretch, strengthen, and condition the body for long tournaments and lifelong training. Carrying a baby is both a wonderful and physically taxing event in a mother’s life. From coping with a shift in body gravity to joint and nerve pain that comes with a growing baby, finding relief from some of the aches and pains of pregnancy can be challenging. Similarly, once the baby arrives, most moms are seeking ways to lose baby weight and regain strength. Pilates reformer training provides the benefits of an intense workout without the physically taxing joint stress of most other exercises. Performing safe and guided Pilates reformer routines can give you the confidence that you need to thrive through pregnancy, support a safe delivery, and regain your strength post pregnancy. At Elite Pilates we offer both group classes (semi-private) and Private classes. Both provide a unique, results-oriented experience aimed at developing core muscle groups and overall strength, coordination, and flexibility. We have 35+ Years’ experience training pilates members. Pilates is a body conditioning routine pioneered by Joseph Pilates. This system targets muscle groups to build flexibility and improve core strength throughout the body. A Pilates workout is truly a full-body experience that will strengthen each of your major muscle systems. We are 100% family owned and dedicated to your health. You won’t just find advanced reformer machines here, you’ll find people who truly care about you and your family. Plus, we’re the only studio in San Antonio that offers a private room for Private Reformer classes. Come visit us! You’ll use a footpad or pull strings to move the platform and increase the intensity of your workout. Pilates reformers can be adjusted to provide varying degrees of resistance for different exercises and users of differing skill levels. The Pilates reformer is a piece of Pilates equipment that features a bed-like frame and a flat platform that moves back and forth via wheels that are connected to the frame. The platform moves by springs, which are activated by pushing and pulling on different resistance ropes and levers, depending on the exercise that you’re attempting. Pilates was not just created as a physical exercise, it was made to engage both mind and body at the same time. What does this look like? Our members often comment about the increased focus, concentration, and meditative-like states they create for themselves during our Pilates classes. Our experienced instructors help beginners and advanced students alike concentrate on the different muscle areas throughout the experience. Many members comment that they feel an “alive” state of being after Pilates class and that it is unlike any other exercise routine they’ve tried before. Most people see the Pilate Reformer machine and assume that it is primarily used for core and leg routines. To the contrary, some of our most intense workouts during Pilates Reformer classes are our arm workouts. They involve resistance from the Reformer machine and various toys/tools from our Private Classroom. Whether it’s arm circles, pull ups, or curated upper body strength routines plan on giving your biceps, triceps, forearms, and shoulders an intense strength workout. If you take enough classes with our head instructor, Luisa Parker, who has been teaching Pilates for 33+ years, you’ll begin to learn about the many misconceptions we have about our bodies. The first and arguably most important is about our core. Many people believe “core”: means just the stomach/ab area. This is a common misconception, as your core is a much larger area of the body. Think about it like the foundation upon which you’d build your home. At Elite Pilates we’re core experts and we focus on results. Whether it’s losing inches from your waist, giving you a stronger swing, or helping a nagging back injury – strengthening your core is a priority for us! Spend the majority of your day sitting at a desk? Stand all day? Play a strenuous sport that results in out of alignment body issues? So many of our Elite members complain about hip pain and inflexibility in their central pelvic areas. We believe this is a growing epidemic in America. As computer jobs become more prevalent, the amount of hours we sit and remain sedentary severely affects our body positioning. Our own head instructor, Hugo Quinonez, began his Pilates journey after a painful hip injury kept him from his beloved Martial Arts competitions. After experiencing the results of Pilates Reformer classes on hip pain, he’s converted for life! Your legs are your power muscles. They help you power through the day and they’re key ingredients for athletes and moms, alike. When we think of leg health, most people think about strengthening common muscle groups such as hamstrings, calves, and shins. At Elite Pilates we believe that strengthening is important, but it’s not enough. To reach peak health and performance, we must strengthen AND elongate. At our live classes, you’ll engage in hundreds of different Pilates Reformer motions that work out leg muscles you didn’t even know you had! The amazing flexibility of our Pilates Reformer machines allows us to engage your legs at a range of motion that other exercises aren’t able to achieve. One of the first things you’ll learn at Elite Pilates is how to position your feet. We call this technique “Pilates Feet” and it involves an elegant movement that involves pointing your toes with both heels touching. Our instructors will demonstrate and help you begin honing your “Pilates Feet.” This simple movement, coupled with our proven pilates exercises will help you both develop a core-centered posture and improve your overall strength. Grace and coordination are common results our members rave about – and it all begins with….Pilates Feet! Before trying Pilates I was a person that hated exercise. I am stronger, my posture is greatly improved, and I had a 6.9% increase in bone density in one year. Luisa and Hugo modify depending on each student’s needs. Beginners all the way to advanced students are side by side working to their own individual levels. I wish I had discover Pilates Reformer years ago! I love Luisa. I had a personal trainer for years at a major chain. Back injury from said chain made me think twice and I contacted Luisa. She has been fabulous. My pain is nearly gone after 2 mos of training and my body is transforming. I love Luisa!!! I give Luisa and her staff 5 stars! She is great at explaining why we do certain combinations and is extremely helpful in providing alternatives for me. I have limited mobility due to a childhood injury and osteoarthritis but I feel so much better after a session. Luisa is very inspiring; I will miss her! I have torn meniscus in both of my knees and could not even walk without intense pain. It was not until I started going to Elite Pilates Reformer (I’ve been going for almost 6 years!) that I felt renewed, reinvigorated and happy! Thanks to Luisa’s AMAZING training, detailed instructions, and wonderful sense of humor I am now able to do my daily activities and live my life to its fullest. Elite Pilates is good. Luisa is a great motivator and instructor. She has not been around much since opening her new location. The new workout space on Stone oak is a little crowded but it works. I would like to see Luisa teaching more classes at the Stone Oak location. Our team has 35+ years’ experience teaching Pilates Reformer classes. Your workout will be challenging, intense, fun, and life altering. When you work with us, our goals are your results. Our private classes will guide you along a personal journey like no other. When you take private or semi-private classes with us in our San Antonio Pilates studio you’re working with professionals who care about your family because we are family! Our family business takes pride in serving you with a personal touch.